Get started with My Account using this guide for helping you log in for the first time, access your username and password and make changes to your username and/or password. How do I change My Account username or password? A. How do I find my username and password? About 3 days before installation Verizon will email your username and password in 2 separate emails. Search your email inbox for 2 emails from verizon.buisness.digital.voice@verizon.com. One email will contain your My Account username. The other will contain a temporary password. Your username is likely your email address and is case sensitive. If you cannot find your temporary password, or it expired, select Forgot Password and follow the instructions to get a new temporary password emailed to you. B. How do I log in to My Account for the first time? 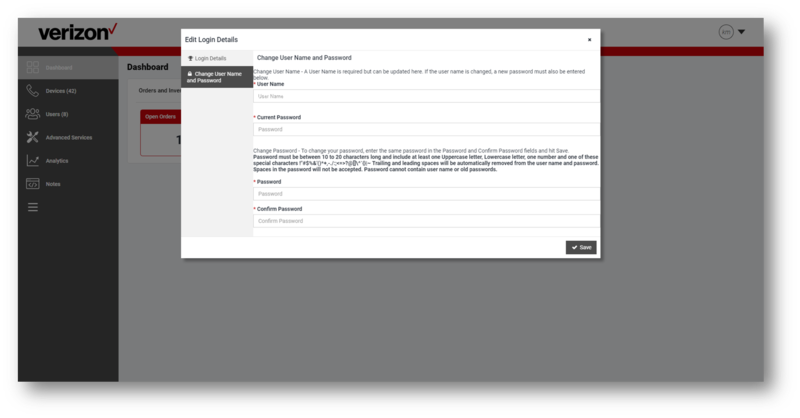 Enter your Username and the temporary Password within the given fields. Once you have entered your Username and temporary Password, select Sign In. 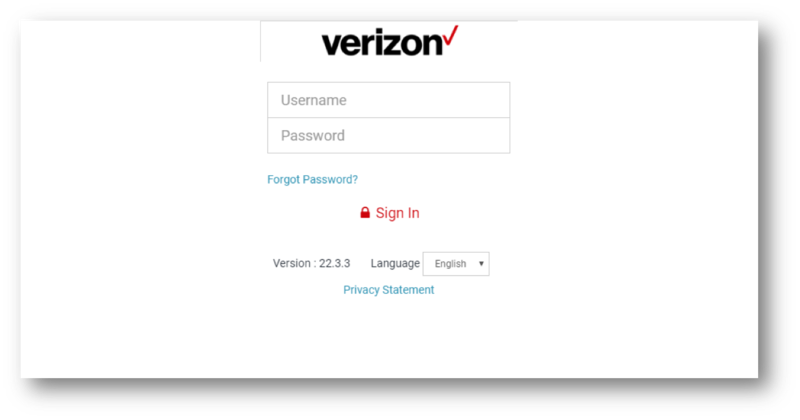 Note: If you cannot login, please contact the Business Digital Voice Support Center at 1-800-Verizon. 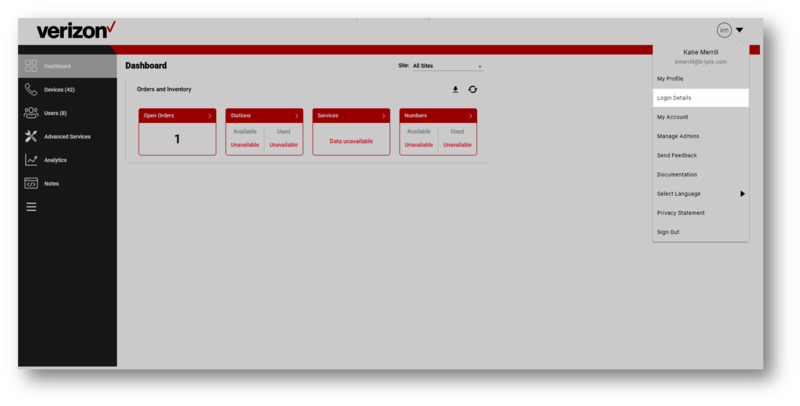 You will then be directed to the Dashboard screen showing your Orders and Inventory. C.	How do I change My Account username and password? If you would like to change your password, you can reset it by going to the Login Details page. At the top right of the Dashboard home screen, click the dropdown next to your name and select Login Details. Next, select Change Username and Password. The username field will show your existing user name. To change your password, enter a new password and then reenter the password to confirm. Note: Passwords must be at least 10 characters long and include at least 1 uppercase letter, lowercase letter, one number and a special character. Trailing and leading spaces will be automatically removed from the user name and password and spaces in the password will not be accepted.